To view neutrinos from distant explosions, astrophysicists have set up thousands of detectors in pure ice at the South Pole. What are neutrinos, and what do these scientists hope to learning from them? 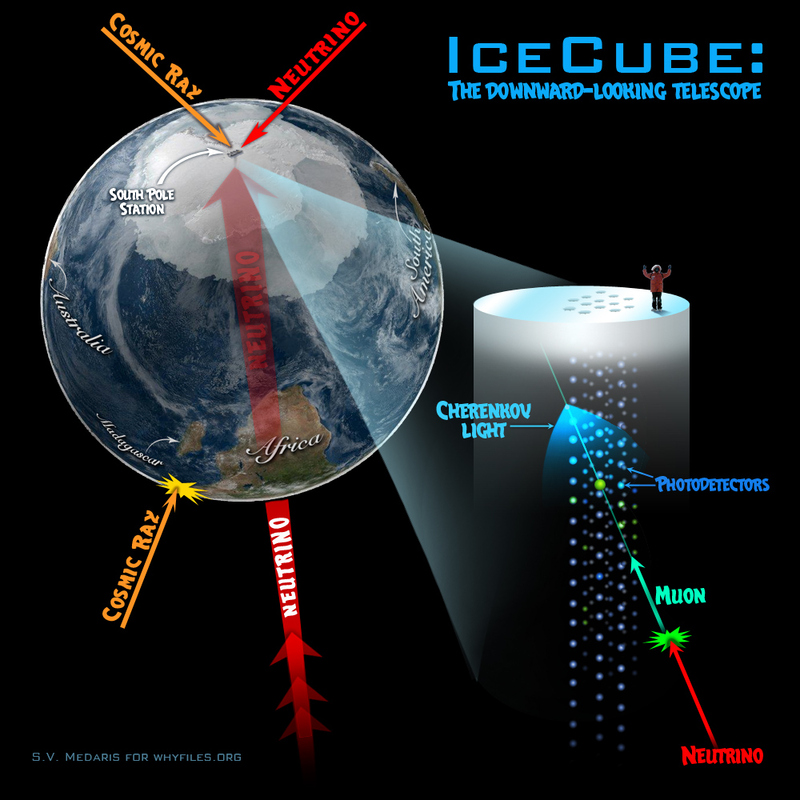 Why does the Ice Cube observatory look down rather than up, unlike all other telescopes? The project cost an estimated $271 million. What were the assurances that this money would not be wasted? The neutrino originated as a hypothesis in a theorist’s head. How has it come to be accepted by physicists? What other types of matter and energy (Higgs bosons, dark matter, dark energy) have physicists thought up, and how certain are we that they exist? If neutrinos cannot be seen and can hardly be detected, why spend money trying to detect them? Why does Ice Cube’s “detector” need to weigh 1 billion tons? Polar TREC has professional development programs for teachers, focused on science at both poles. A broad range of activities and programs related to ice and the poles. Home-made cloud chamber shows how technology can make the invisible (cosmic rays) visible.